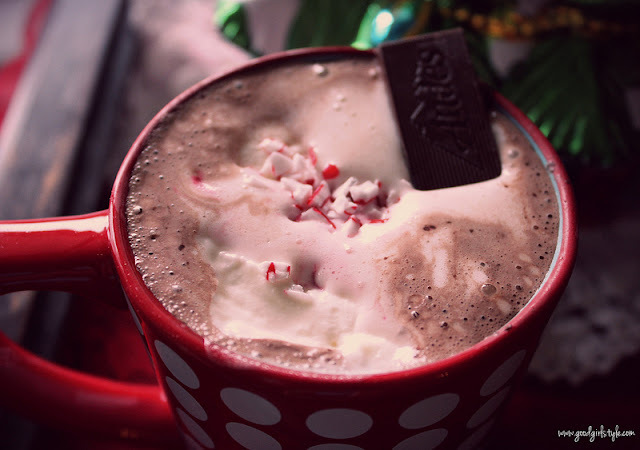 Let's share a cup of hot cocoa tonight, yeah? See, I made you a special one with homemade whipped cream, peppermint bits, and a cherry Andes mint. It's rather delicious, if I do say so myself. But it's definitely for you. My writings here always come from a really authentic place, and I hope you can see that, whether they are silly or deeper-hearted. I've been doing a lot of soul-searching lately, and I am so excited about the plans I have for this little blog-space of mine. Thank you so much for sharing life with me here. It is my pleasure to hostess you all here for a moment out of your day. Today is a time for words instead of pictures. For me, this photo embodies my word of the year for 2012: Change. Every year I choose a Word of the Year that I feel God has laid on my heart as the banner word over my year. I pray about it and often wrestle with the word choice, unsure of what it means or how exactly He seeks to accomplish the meaning of that word in my life. You see, often the words are not pleasant things. They are usually words like 2011's Discipline or 2012's word: Change. On the heels of a rough ending to the otherwise blissfully wonderful 2011, it seemed that there was nothing BUT change left for me. God was preparing my heart. Come mid-year, I was at the end of my rope physically, spiritually, and mentally. I took six flights to visit family in two different states, fighting anxiety attacks the whole way, bursting into tears at random times and in front of strangers, feeling unequivocally beaten down. I made the tough decision to move closer to my family and start chasing some dreams. I wish this post were about the healing I've experienced, the turning point for wholeness I embraced this year. But as I've often said, a testimony is no good without honesty and authenticity. My heart isn't healed, much as I hate to admit that, because it's been a year. I know we serve a God whose provisions are complete. He is utterly dependable and overwhelmingly in love with us. And no matter how much love we may lose on this here broken ground, our God in the Heavens never fails. That photo above? That's me, standing in front of Niagara Falls, during my move. I used to think it was strange that I decided to turn my back on the falls and look out the other way. 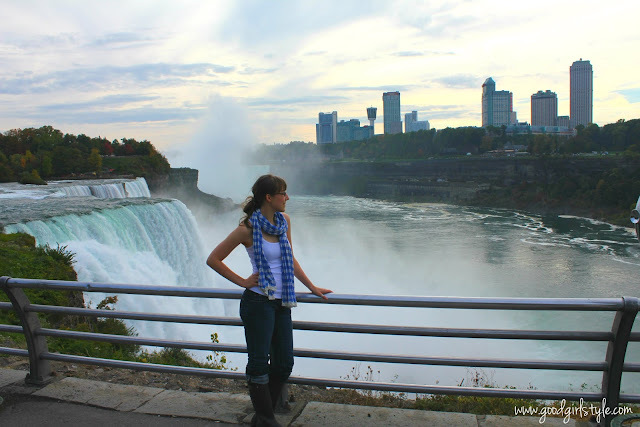 Why didn't I face the falls? Now, I think it's mighty symbolic. My back is to the falls. My back is to the difficulty, to the mighty rushing river cliff of heartbreak. I'll see you next January to check in on my word for 2013 and how God used it in my life. I wish you all a marvelous year. I love this very much, especially the bit about your back to the falls. Healing takes time and I love that you are giving yourself the time to do it. I never do that, I try to rush myself to a better place sometimes way before I am ready. Take you time. Love the picture and your back being turned. Love even more than you put into words what the picture means to you and that you have something you can look back on in the future to see what your word meant to you.